At Diamond Valley Dentist, we practice a preventive model of dentistry that considers your mouth as an integrated part of your total body. Did you know that bad bacteria or pathogens that live in your mouth (the same ones that cause tooth decay and gum disease) have a direct pathway through the gums to enter the bloodstream and flow directly to your main lifeline – your heart? Practicing good oral hygiene and seeing your dentist regularly is not only a way to keep your smile clean and healthy, but to keep your body healthy overall and prevent serious systemic diseases later on. You’ve probably heard it before from your dentist, but oral hygiene is SO IMPORTANT! It’s one of the best things you can do for yourself in pursuit of a healthy mouth and a healthy body. We happen to have one of the best hygiene teams in Hemet right here at Diamond Valley Dentist. They are super gentle and friendly to make your cleanings as pleasant as possible. While incredibly gentle, they are also very thorough and will make sure to take care of any plaque or tartar you’ve left behind. Invest in an electric toothbrush. We recommend Oral B for the most advanced cleaning power. Change brush heads every three months because bacteria can build up quickly. Brush for two minutes at least twice per day, in the morning before breakfast and at night before bed. Focus on brushing each tooth individually, and along and under the gum line. Hold the brush at a 45-degree angle to get under the gums, brush in small circular motions, and be sure to brush all sides and reach all the way to the back. Brush the tongue or use a tongue scraper to eliminate bacteria and bad breath. If you brush your teeth but skip the tongue, your tongue will only redeposit bacteria shortly thereafter. Avoid brushing immediately after eating or drinking, as the acidity produced combined with brushing can damage your enamel. Try brushing before you eat, and rinsing with water after. Floss every day. Curve the floss in a c-shape around each tooth and under the gums rather than snapping it up and down. Release a new section of floss for each tooth to avoid re-depositing plaque and bacteria. If traditional string floss doesn’t work for you, there are other options available. We recommend Soft-Picks® which are soft and gentle and easy to use. Rinse with mouthwash to kill bacteria in the rest of the mouth that brushing and flossing can miss. Mouthwash can help prevent cavities, gingivitis, and bad breath. Rinse with water when brushing and flossing is not available and between meals. A little swish and spit can reduce plaque and acid buildup throughout the day. Gum disease is an oral infection with the potential to cause tooth loss, as well as serious health problems like heart attacks and strokes. Scary, isn’t it? Scarier even still is the fact that most American adults suffer from some level of gum disease, meaning they have these harmful pathogens in their mouths already. The good news is, with diligent home care and more regular visits with your Hemet dentist, we can treat gum disease and get your mouth healthy again. Gum disease treatments vary depending on the level of infection and the progression of the disease. If it’s still in the early stage (gingivitis) we may recommend specialty products for oral disinfection, improved oral home care, and more regular deep cleanings. If the disease has progressed into periodontitis or periodontal disease and you have deep pockets, you may require more invasive treatments like scaling and root planing or gum surgery. 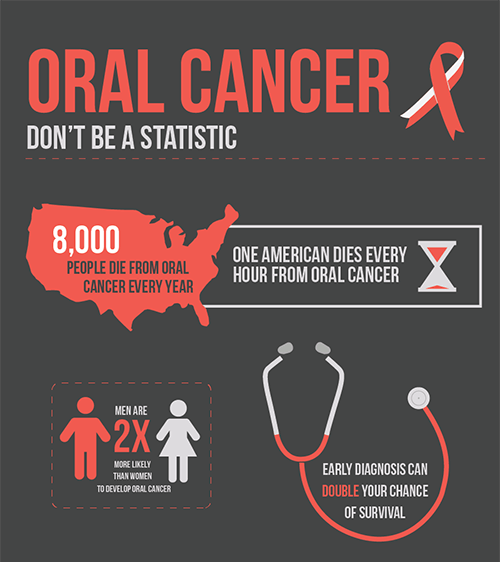 Oral cancer is one of the most deadly forms of cancer because it is usually not detected until it’s in late stage. That’s why your dentist is so much more important than just cleaning your teeth and filling cavities. We are always on the lookout for any changes or abnormalities in your mouth that may be signs of oral cancer, and you should be on the lookout at home, too. The earlier we catch it, the greater your chance of survival and recovery. While our primary goal is to keep your natural teeth healthy and in your mouth for as long as possible, sometimes things happen and an extraction may be the best solution. If you have a tooth that’s badly decayed, broken or infected, and is past the point of restoration with a crown, you may need to have it extracted. Extractions can also help if you have excessive crowding or problems with your bite. 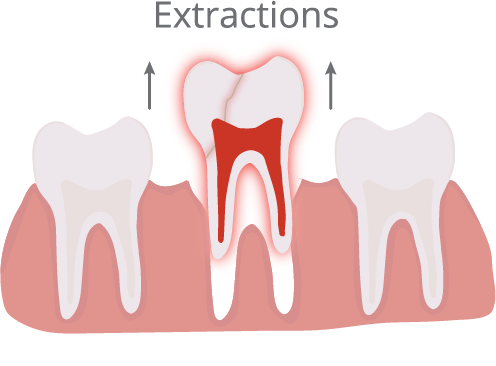 We know extractions sound scary, but today they are a fairly routine and painless procedure. Dr. Nathan Jergensen will walk you through every detail of the procedure to make sure you feel comfortable. We will use either a local anesthetic or a general anesthetic depending on your needs and preferences. Dr. Nathan Jergensen will give you specific post-op instructions to follow to ensure the fastest healing and recovery for you. At Diamond Valley Dentist, we believe your healthy smile is one of your greatest assets. If you or your little one is involved in any type of contact sports, your best asset could be at risk! Yes, there are stock mouthguards you can buy at your local sporting goods store, but only a custom mouthguard offers the best fit (so it will actually be worn) and the highest level of protection against tooth loss and can even minimize damage from concussions. If you clench and grind your teeth at night or suffer from TMJ/TMD, a custom night guard can protect your teeth and allow your jaw joint to rest and heal overnight. You might be amazed what a difference a night guard can make in minimizing, even preventing your chronic orofacial pain. It might not be the best look, but your mouth will thank you. If you have any questions about general dentistry or would like to schedule a visit with your Hemet dentist, Dr. Nathan Jergensen at Diamond Valley Dentist, give us a call today at (951) 763-8862 or request an appointment online!